VG Albano all fired up for the start of the polo season! 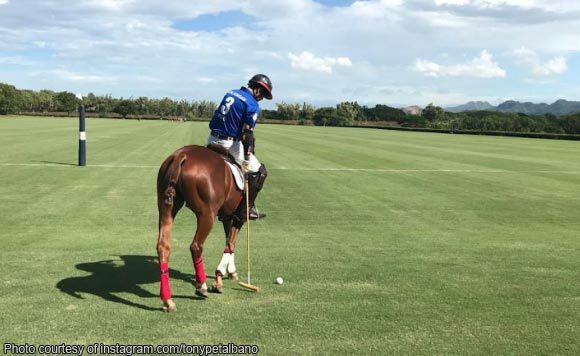 Isabela Vice Governor Antonio “Tonypet” Albano cannot help but be excited now that the polo season has kicked off. The politiko posted a picture of him riding his horse at Calatagan, Batangas. “Calatagan Polo is the start of the much-awaited polo season. Hacienda Bigaa is such a lovely and enchanting place,” said Albano. “Muchas gracias, Patron IZ y las hermosas Maricris! Disfrutamos cada minuto jugando en tu lugar encantador. Dios te bnediga mucho,” he added.